Back pain is unfortunately very common and is due to various factors such as poor posture, poor muscle endurance, altered muscle firing patterns, muscular imbalances, inflexibility of the lower limbs, muscle weakness and leg length discrepancies. We often hear about the core in relation to back pain. 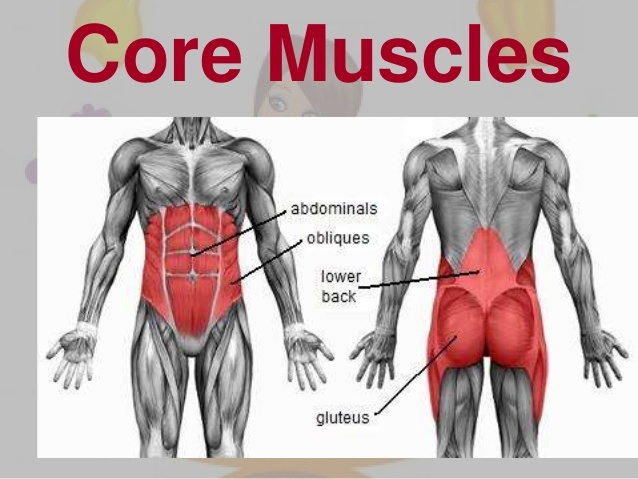 But what is the core, and why is it so important to exercise the core with back pain? The “core” is a term used to describe the muscles around the spine, hip and pelvis that provide spinal and pelvic stability. It includes the deep muscles of the spine (transversus abdominis, multifidus), the abdominals, and the gluteal muscles. The diaphragm and the pelvic floor muscles are also part of this complex of muscles. The core is described as a muscular “corset” that acts as a unit to control the spine, provide proximal stability for the function of the limbs and minimize joint loads. It has been shown that in individuals with low back pain, there is poor endurance and delayed activation of these muscles as well as muscle wastage. This has been confirmed extensively through research. Therefore, it is key to introduce an early patient specific and progressive core muscles exercise program in individuals with back pain.